As the days get shorter, the temperatures get cooler, and pastures are being grazed down, cattle producers are starting to look for alternative feeding methods to get them by until they start feeding winter feed stuffs. In any beef-cow operation feeds costs tend to be the largest expense, which makes finding alternative and low-cost feed options a great opportunity to save money and increase profits. So what makes a feed source more economical than your stored feed source at home? Typically one that is grazed and the producer didn’t have to harvest or transport. If livestock can do the work themselves by grazing and there are few additional labor requirements needed from the producer, then grazing some type of forage or plant residue makes sense. Having cattle graze crop residue, or the remaining biomass left over after a planted crop has been harvested, can prolong one’s stored feed resources. Crop residue is the remaining part of a plant left in the field after the initial cash crop has been removed or harvested. 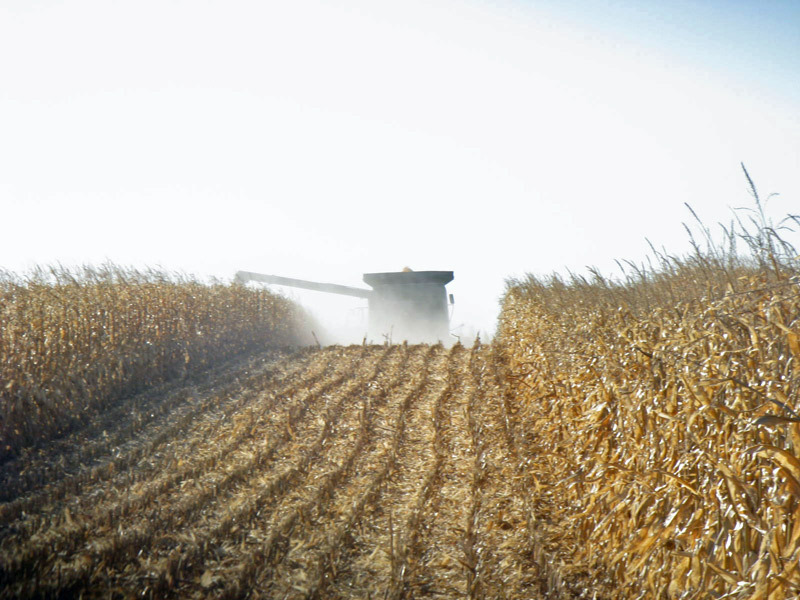 In the Midwest, corn stalks are the most commonly grazed crop residue for beef cattle. There are many benefits to grazing crop residue in the fall. Besides being a less expensive feed source, there is the benefit of time savings from allowing cows to graze residue versus the operator having to feed the cows on a daily basis. The timely removal of cows from grass pasture in the fall will help producers better manage the grass for the following grazing season, and also allow the producer to do any fall pasture spraying for weed control. For pastures that have completely run out of grass, having the opportunity to graze crop residue allows the cattle to be removed from the pasture and prevents further overgrazing. Besides the benefits to the cattle owner there are several advantages to crop residue grazing for the land owner. When compared to baling corn stalks, grazing stalks actually leaves more residue in the field that can be utilized as nutrients for the following year’s crop. Grazing cattle also leave nutrients out in the field in the form of manure and add additional organic matter to the soil. Grazing cattle on corn stalks can be especially beneficial in regards to down ears of corn (given that fields are managed properly and cows aren’t allowed to overeat the corn in a short window of time), because cattle will search out corn ears to consume first, therefore decreasing the amount of volunteer corn that would be present the next cropping year. Probably the biggest concerns with grazing cattle on crop residue are the potential compaction issues associated with running livestock on crop ground, and an overall decrease in yield the following year in a normal corn/soybean rotation. However, numerous studies have shown there to be no statistical difference in yield or soil compaction in grazed versus not grazed corn residue. In a sixteen year study at the University of Nebraska-Lincoln there was no result in detrimental effects on soil properties (soil compaction), and fall grazing of corn residue actually improved the following year’s soybean yield by 3.4 bu/ac. So if there are clear advantages to both cattle owner and crop land owner, why aren’t more crop fields grazed in the fall? The biggest setbacks tend to be lack of fence surrounding the field, no water source, concerns about soil compaction, weather, and a shortage of time during an already busy season. Snow and ice cover in a corn field can reduce or eliminate access to forages, and mud makes grazing difficult and results in decreased animal performance and forage waste. In wet, humid conditions (such as a rainy fall) nutrient losses in forages are great due to decomposition and weathering. Both types of weather factors will significantly decrease the forage available for grazing and the days within the grazing period. If you have found someone willing to let you graze cows on their crop residue, how do you know if it will make sense economically? Before fence is put up and cows are moved, a grazing agreement must be in place. Grazing leases are typically priced on a per-acre basis or determined on the number of animal units per month (AUM) of grazing. Land owners and livestock owners must agree upon a start date to the lease, as well as a flexible date that cattle must be removed by. Is it determined by a specific number of grazing days, the date of the first snow storm, or is the farmer planning on doing fall tillage yet and cows need to be removed before the ground freezes? Other factors to consider in the lease are the stocking rate, who puts up/maintains the fence, and is water available or does the cattle owner need to haul it in. There are several helpful resources and spreadsheets online that landowners and cattle producers can use to help them determine a fair lease agreement. In short there are many advantages to fall crop residue grazing, for both the landowner and the cattle producer. Grazing of corn residue can be a low-cost source of feed for cattle, while being an additional source of income for crop farmers without having detrimental effects to their land or future crop yields. Utilize available resources to help determine a fair grazing lease agreement for both parties. Drewnoski et al. 2015. 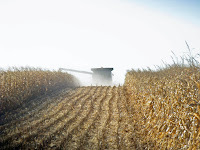 Effect of Corn Residue Removal on Subsequent Crop Yields. University of Nebraska-Lincoln Beef Report p 53-55. Rakkar et al. 2017. Effect of Long-term Corn Residue Grazing on Soil Properties. University of Nebraska-Lincoln Beef Report. p 50-52. Rasby et al. 2014. Grazing Cover Crop Residues with Beef Cattle EC278. University of Nebraska-Lincoln. p 3-9.